The name “Hudson” came from Joseph L. Hudson, a Detroit entrepreneur and founder of Hudson’s department store, who provided the necessary capital and gave permission for the company to be named after him. A total of eight Detroit businessmen formed Hudson on February 20, 1909. 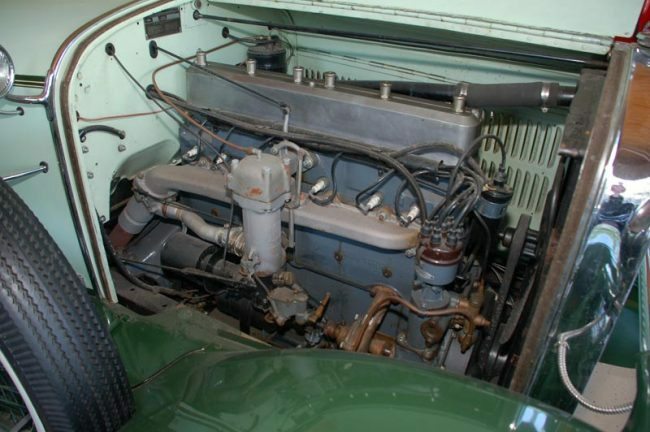 The company had a number of firsts for the auto industry; these included dual brakes, the use of dashboard oil-pressure and generator warning lights, and the first balanced crankshaft, which allowed the Hudson straight six engine, dubbed the “Super Six”, to work at a higher rotational speed while remaining smooth, developing more power for its size than lower-speed engines. At their peak in 1929, Hudson and sister brand Essex produced a combined 300,000 cars in one year. Including contributions from Hudson’s other factories in Belgium and England, their success made Hudson the third largest U.S. car maker that year, behind only the Ford Motor Company and Chevrolet. The 1929 two-seat Roadster was the lightest and therefore fastest of the 1929 Hudson line. The body was steel frame and steel sheet metal built Briggs Manufacturing Co., which made various models for Hudson, Ford, Chrysler, and other manufacturers. This great 2 seat roadster is finished in the correct 2 tone green with discreet pinstriping, and decked out with chrome wire wheels, wide whites, and dual side mount spares. The fit and finish on all of the components is very high quality, and the chrome and brightwork items show nicely. The tan Haartz cloth top is in great condition, and the over all presence of the car is very strong. 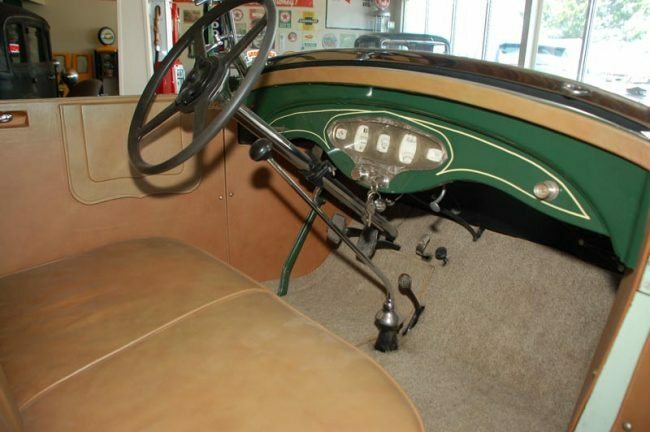 Inside, you can’t help but notice the unique, molded instrument panel, which has a hand carved, art deco feel, mounted into a painted and pinstriped dashboard. 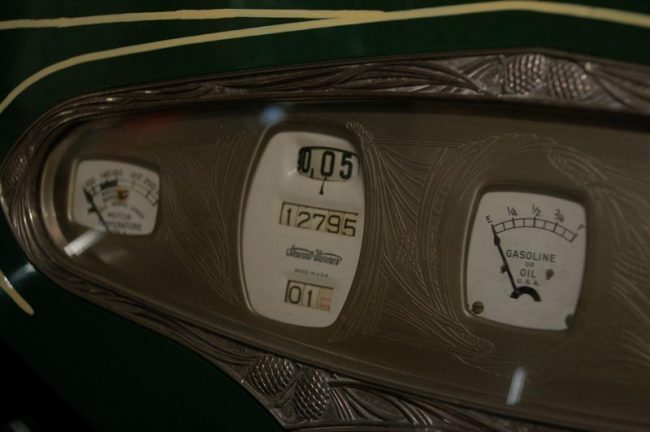 Instrumentation includes a temperature and gasoline gauge, including a very unique horizontal spinning speedometer. The odometer reads 12,795, which we believe to be the mileage since restoration. The roomy passenger compartment is upholstered in soft brown leather, including the seats and door panels, which are done in a deluxe 2-tone style. Under the hood, the legendary Super Six engine has been accurately maintained, and the high-revving straight six cylinder engine starts easily and runs silently. The performance of the roadster is outstanding for the era, and it is no wonder why Hudson had tremendous success. 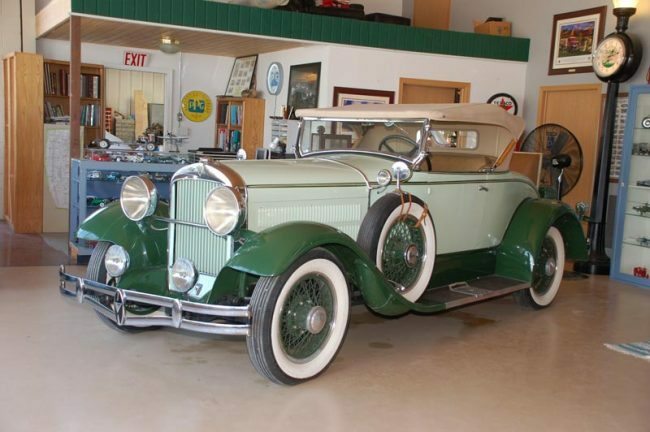 If you have a Hudson Motor Car or another collectible you’d like to insure with us, let us show you how we are more than just another collector vehicle insurance company. We want to protect your passion! Click below for an online quote, or give us a call at 800.678.5173.